Instagram is less demanding than Twitter and Facebook, with hardly any need to keep an eye on notifications, and it doesn't eat as much time. If you've already mastered Twitter and Facebook, Instagram is a doddle in comparison. With Instagram, you can (almost) post and walk away. I still use Instagram during social media breaks (school hols). Now and again, someone may comment on an Instagram post, and I 'like' (where appropriate), and reply to that comment but there's less urgency than with Twitter and Facebook. Instagram is a handy testing ground for photos too, and I use those with the highest number of likes elsewhere. 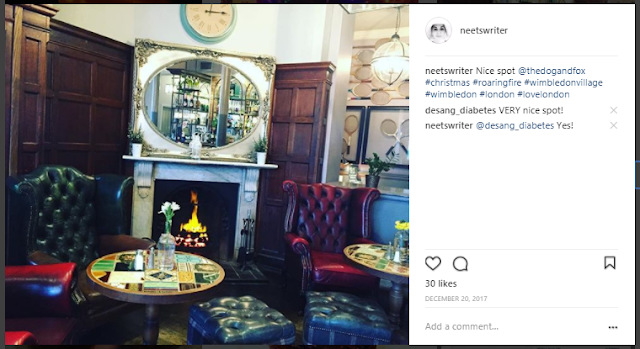 You are likely to find people on Instagram who aren't on Twitter and Facebook (or who you wouldn't be friends with on Facebook), so it's a way to reach more readers. 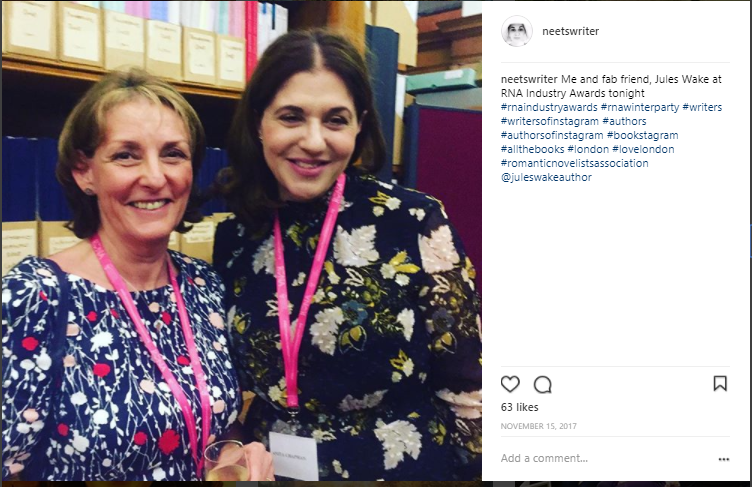 I have blogged about Instagram before in relation to events and hashtags, (links to those posts at the end). This is more of a general post which covers the basics, and a bit more; inspired by questions asked on my courses. Set up an account by downloading the app or you can set up an account on your computer. You post photos using a phone or tablet, and content is mostly instant, happening now. If you don't want to give away where you are when you're there, post after you leave a location. 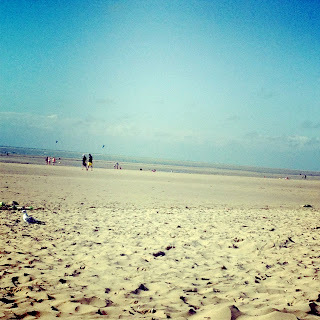 You can edit photos re brightness, contrast etc and add a filter. Where possible, add a location-there's no need to turn on Location Services to do this. It's possible to post more than one photo at a time, although I rarely do this. See 3.Brand and Following for more on what to post. 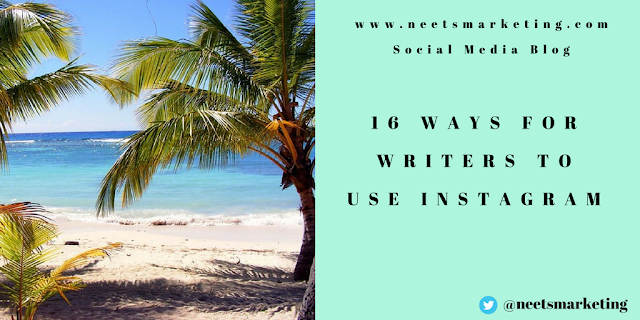 Hashtags are important on Instagram, and you can use a lot of them (unlike on Twitter, where I'd only use two max). See my post on hashtags for more info, and examples: What are Hashtags, Why Use Them, and How? 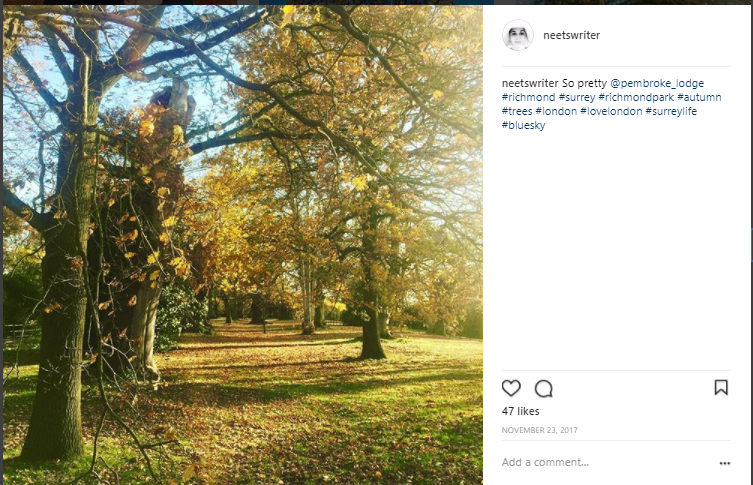 You can now follow hashtags on Instagram (only since the end of 2017) which is a useful development, although Instagram will show you the most popular posts under the hashtag first, ie those which often have hundreds of likes, so it's not usually a way to find new followers (as these users are unlikely to follow back). However, it's a great way to see how to use Instagram well, and you're likely to be inspired by some of the amazing ideas found under popular hashtags such as #currentlyreading. Here's an article via Social Media Today on following hashtags. 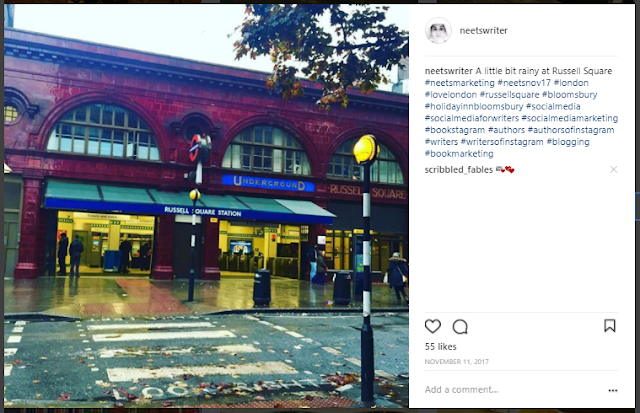 Use photos of where your book is set and add related hashtags to your posts. Think about your brand, taking photos of what is associated with your book such as food, shoes, hats, furniture, paintings. 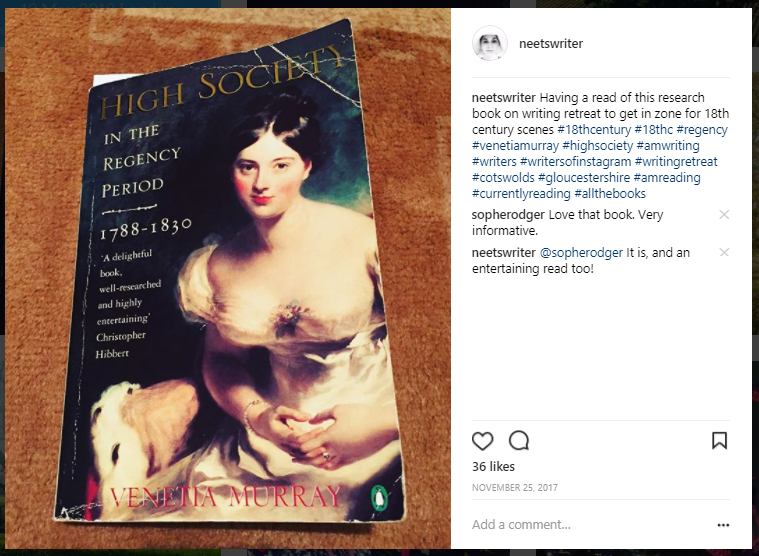 During the week of a book release, you could post a daily series of photos on Instagram related to your book. Photos from around the house of pets, cooking/baking, flowers and crafty things always go down well, and are a way to raise your profile and gain followers (if you use the right hashtags). Pictures of coffee, cake and a notebook or laptop with #amwriting are usually a hit too. Post photos of what you're reading-either one book or a TBR pile with all the reading hashtags. Follow authors, writers, potential readers, librarians, book bloggers, others who are interested in subjects and themes from your books etc. I've spent a few years building my brand online as a writer for that day if/when I get a book published-posting photos of places and things related to what I write about. Now I teach at Richmond and Hillcroft Adult Community College, Richmond has become part of my brand, so I take scenic photos when I get the chance, using relevant hashtags. This helps to raise my profile in the community around Richmond. Selfies work well, and usually get a lot of engagement. Take them on the way to, and at events; on your own, and with others. Your followers want to know what you look like, and it means people recognise you when they see you! Video is being used more on social media. You can see the number of views and who has viewed. You can mute videos easily if for example people are talking in the background (useful if you have children!). Boomerang can be effective-I've seen a few posts with the opening and closing of a book, and many other clever ideas. This works well if you visit a place and tag it (using the correct username)-eg a restaurant or pub, museum, country house etc. Usually their social media manager will like the post, increasing engagement and potential reach. Tagging a product works in the same way. Note that if you share a post to Twitter, usernames are sometimes different (a reason for you to keep your usernames the same where possible)-See 8.Sharing to Facebook and Twitter. Because it's polite, that person is more likely to comment again, and doing this (like with all social media) increases engagement and potential reach. ie the post may be shown to more people. See my React, Reply, Reciprocate post. This will help your Instagram post go further with minimum effort. Sharing to Facebook does get engagement (Facebook owns Instagram) and is a time-saver if you're in a hurry. However, I've found that posting a photo directly to Facebook usually gets more engagement than sharing the photo from Instagram. 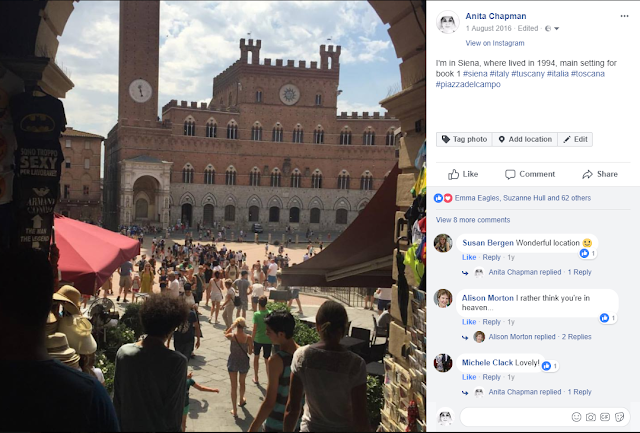 This photo from a trip to Siena, Italy is shared from Instagram to Facebook, but I'm sure (from playing around with other photos) that if I'd posted it directly to Facebook, the post would have received even more engagement. As mentioned above (under 6.Tagging Others), when you share an Instagram post to Twitter, the username of anyone tagged may be different on Twitter. Also, the photo itself isn't shared to Twitter, just a link to the photo on Instagram. Instagram posts shared to Twitter don't seem to get much engagement. You're better off posting the photo directly to Twitter with words and hashtags to go with it. One benefit I've found from sharing the occasional Instagram post to Twitter, is that it's brought me Instagram followers over from Twitter. 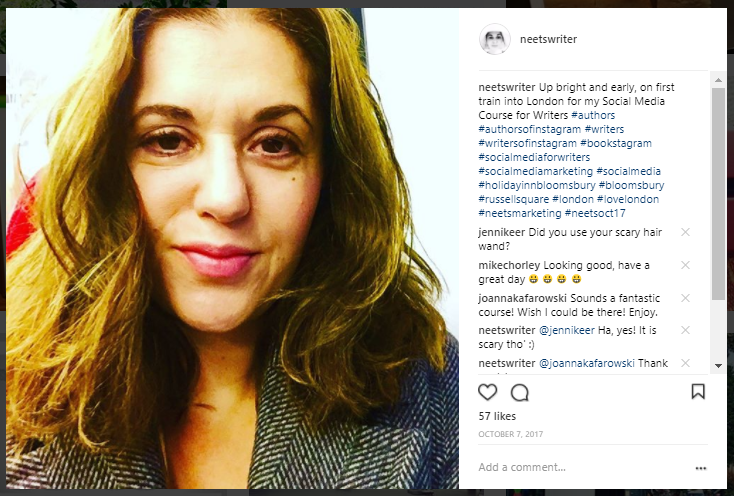 I now include my Instagram username in the bios for both Twitter accounts (@neetsmarketing and @neetswriter) too. There is a way to get the photo to share to Twitter from Instagram by creating an IFTTT Applet. It's easy to create an Applet, which means that whenever you include a specified hashtag in your Instagram post, it's automatically shared to Twitter with the photo. Again, I've tried this and found it didn't do that much-but I've seen it work for those who are big on Instagram and who post frequently. Find out more here: IFTTT. You can create Instagram posts in, for example Canva (there are other apps), which works well for book events, blog tours, blog posts etc. 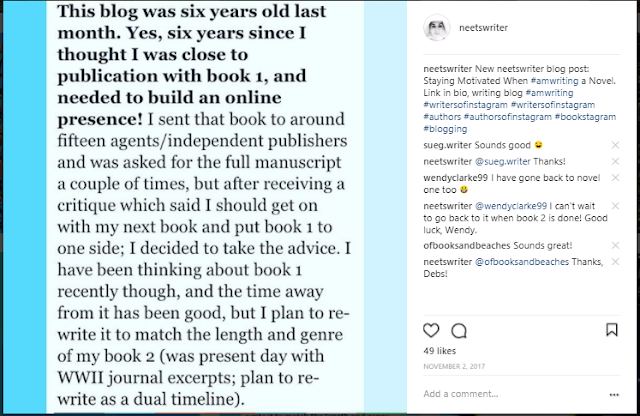 Here's one I made recently for a post on my neetswriter blog about writing routines. Instagram doesn't have clickable links (unless you pay for an ad), but you can amend the link in your bio, and say 'link in bio'. I usually say 'link in bio/writing blog tab' etc, keeping the url as my website. 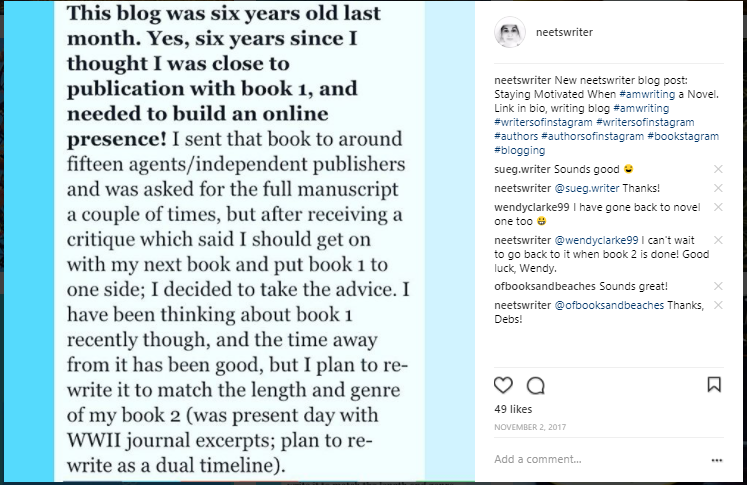 You can screenshot the first part of a blog post. This is the Instagram equivalent of retweeting, and it doesn't happen often. 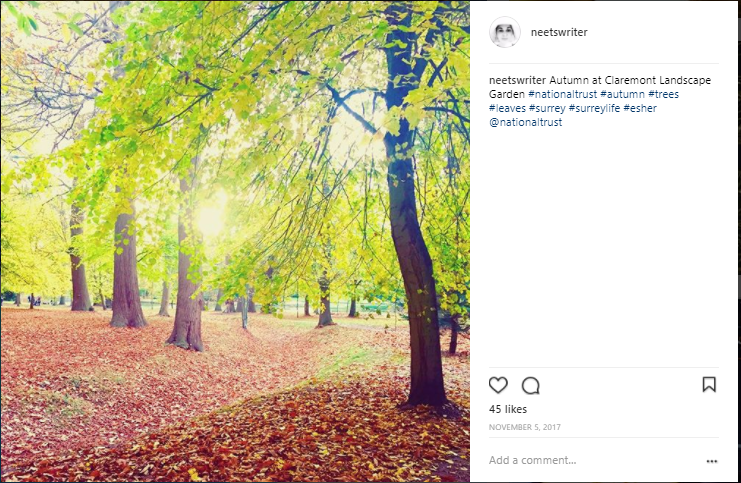 A few organisations repost, for example, if a visitor posts a good photo, then they may repost with #repost tagging the original user. 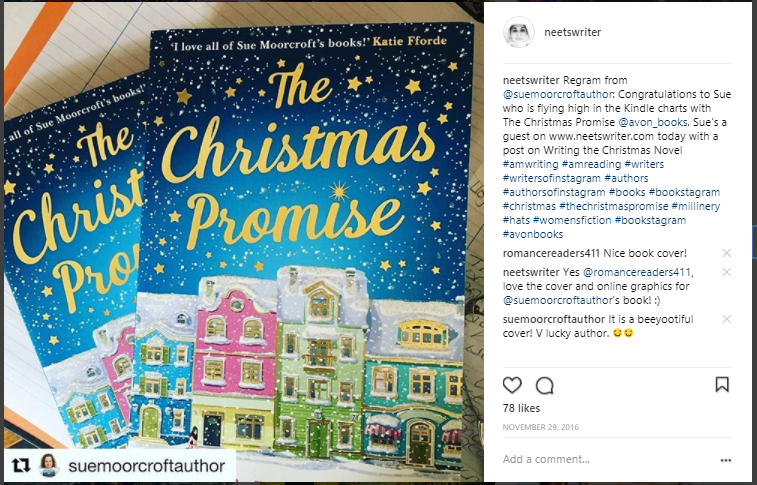 For an author, you could repost a post by your publisher about your book, or one by a blog tour organiser. If unsure, always ask permission before reposting. To repost: you can download the Repost for Instagram app, then see this article via Sprout Social-scroll down to 'How to Regram Through Repost for Instagram'. There are several apps where you can manage following numbers by seeing who isn't following back, and who unfollowed you (I use Followers for Instagram). You can then easily see those users who follow, then unfollow once you've followed back (just like on Twitter!). 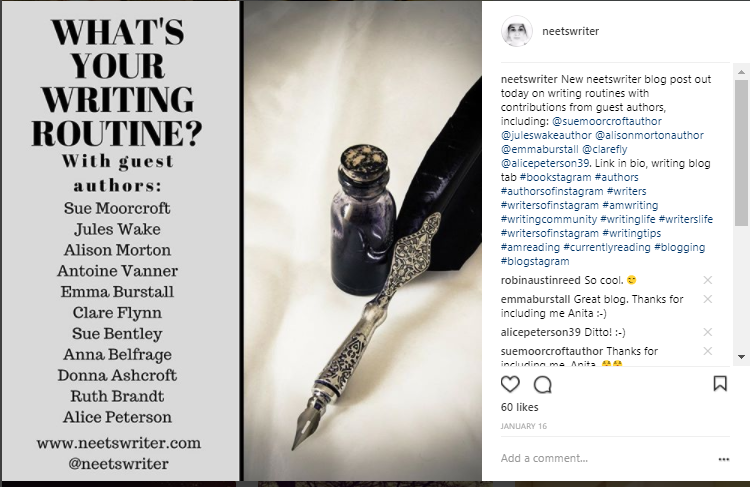 You can make your posts private in Instagram, but if you're trying to build your profile as a writer/author, your reach will be very limited. The advantage of these is that they appear at the top, so you're increasing visibility. However, they take a bit of time to put together, and disappear after 24 hours. Stories can't be 'liked', but you can see who has viewed. You can add text to make them more interesting. Useful after an event or book launch. There's a lot of useful info re Instagram Stories in this article via CNET, Everything You Need to Master Instagram Stories. 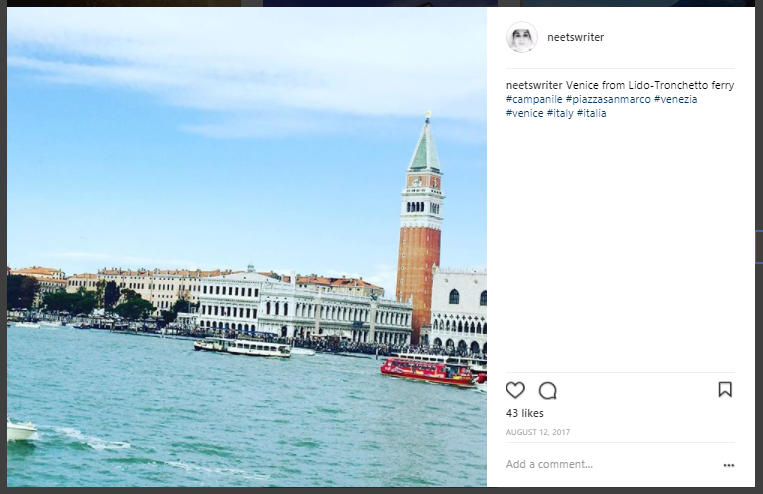 You can pay to sponsor posts on Instagram (like with Facebook ads), but you have to convert to a business profile-which can look less personal. Alternatively, you can create Instagram ads linked to your Facebook Page (rather than your Instagram account). More info here. Instagram followed Snapchat by introducing these. They don't work on all devices yet, but here's how to use face filters on Instagram. I've mentioned Canva above, but there's also Layout and there are many more. Go to top 25 Instagram apps via Sprout Social for a detailed list. That's it! You can follow me on Instagram @neetswriter. 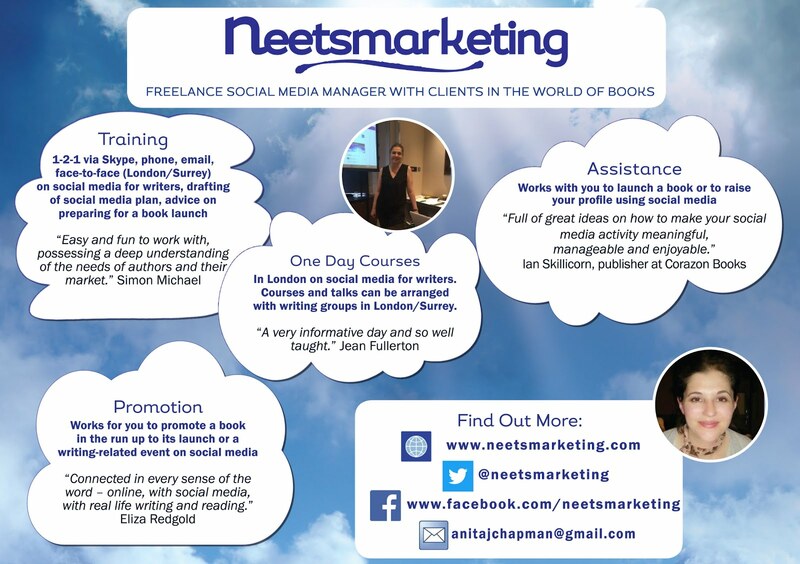 I work as a Freelance Social Media Manager with clients in the world of books, and run my own one day courses in London and York. Recently, I started teaching a ten week course at Richmond and Hillcroft Adult and Community College. Find out more via my website. 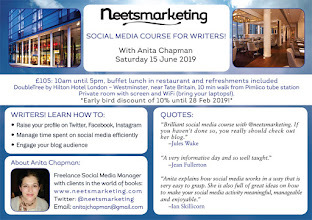 There is one place left on my Social Media Course for Writers in London, 19 May 2018, and there is another course on 6 October 2018 (early bird until 23 May). Great advice. Thanks. Just need to work out how to use it!! Thanks for reading, Angela, and good luck! Packed with handy hints and examples. Brilliant. Thanks for that, Anita - I already like using Instagram but this is very useful! Glad it's helpful, Rosemary. Thanks for reading! Thanks for a great blog post, Anita. Have shared on my Fbook page and Belmont Belles page. Filed away for future use, too. That's great-thanks very much for sharing, Lizzie!